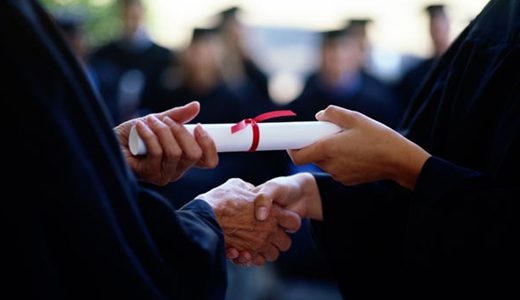 Mangaluru: July 27, 2015: Mangalore University has taken a decision to reissue convocation certificates after some students complained of errors in them. Prof B Narayana, registrar (evaluation), stated on Sunday through a release: "We have observed that BA, BSc, BCom, BSW, MSc, MA, MSW, MBA and PhD certificates issued on the convocation day contain a few printing errors. So all candidates who received the certificates in person on this year’s convocation day (June 17, 2015) are requested to return the certificates. New certificates will be issued to all at no extra charge. As many as 325 certificates were issued that day. An internal departmental inquiry has been initiated against the errors and appropriate action will be taken in order to prevent them in the future. We assure students and the public that such errors will not occur in future. We have recalled the degree certificates by sending out letters to all students and have started issuing corrected certificates for those surrendering their certificates." A student outfit brought the issue to the notice of the media that the certificates do not mention even the NAAC accreditation. Besides, the word `technology’ is missing in certificates issued to students of the science stream. They also say Syndicate is spelt as ’synidcate’. Also, the font used for 2015 makes it look like 2045, they alleged. Another grouse is that the scanner and printer of low resolution has been used.